The mirror self-recognition (MSR) test has long been used to assess whether an animal is self-aware, whether it has a sense of self. In the classic version of the test, a colored mark is placed on an animal’s body in such a way that it can only be seen in a mirror. To pass the test, the animal must spontaneously use the mirror to detect the mark and then scratch or otherwise direct activity toward it, thereby indicating recognition of the image in the mirror as itself and not some other animal. Not only is self-recognition considered to be an indication of higher cognitive functioning, but it has also been seen as a potential springboard to even more sophisticated abilities, such as being able to attribute mental states to other individuals (sometimes referred to as “theory of mind”). To date, only a relatively few animals have passed the MSR test, including certain primates, dolphins, elephants, and, as we saw in a prior post, magpies. But is the test itself biased? We humans rely heavily on our eyesight and may naturally – anthropocentrically – have settled on a test that is based on visual interpretation. What about animals who rely more on their sense of smell – dogs, for instance? Well, Marc Bekoff, Professor Emeritus of Ecology and Evolutionary Biology at the University of Colorado, Boulder, wondered about this too. Over a five year period, Bekoff performed a study1 in which he diligently tracked the behavior of his own dog, Jethro, when Jethro encountered clumps of snow saturated with his own and other dogs’ urine (“yellow snow”) while walking freely along a bicycle path in Colorado on winter mornings. Bekoff would wait until Jethro (a neutered male German Shepherd and Rottweiler mix) or other known female and male dogs urinated on snow, and then scoop up the clump of yellow snow as soon as Jethro was elsewhere and did not see him pick it up or move it (Bekoff used clean gloves each time and took other precautions to minimize odor and visual cues). Bekoff then moved the yellow snow varying distances down the path so that Jethro would run across the displaced urine: (i) within about 10 seconds, (ii) between 10-120 seconds later, or (iii) between 120-300 seconds later. 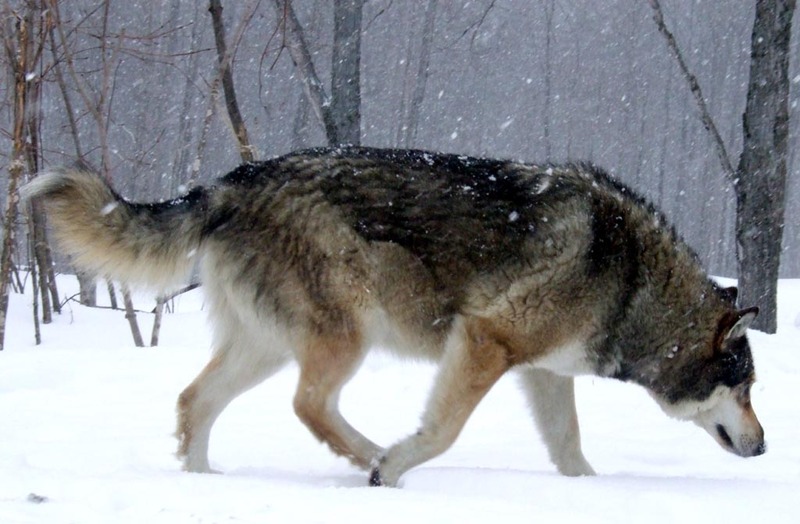 After Jethro arrived, Bekoff recorded how long he sniffed at the yellow snow, whether he urinated over it using the typical male raised-leg posture, and whether urination immediately followed the sniffing (“scent marking”). After compiling and statistically analyzing the data, Bekoff found that Jethro paid significantly less attention to his own displaced urine than he did to the displaced urine of other dogs. For example, when Jethro encountered the yellow snow within 10 seconds, he sniffed for longer than 3 seconds only about 10% of the time when it was his own urine, compared to over 80% of the time when it was other dogs’ urine. (Jethro did tend to have longer sniffs at his own urine when he arrived after more than 10 seconds, but in all scenarios he still sniffed significantly longer at the other dogs’ urine.) Likewise, he very rarely urinated over or scent-marked his own yellow snow, but frequently did so with the yellow snow of other dogs, particularly other males. In sum, Jethro’s behavior clearly demonstrates that he was able to discriminate the scent of his own urine from that of other dogs. Of course this is just one set of tests on one dog, but would it surprise anyone if other dogs showed similar abilities? Is there a fundamental difference between an animal recognizing its own image in a mirror and one recognizing its own scent in yellow snow? There certainly are different cognitive process involved (Bekoff himself has suggested that the yellow snow test may be more indicative of a sense of “mine-ness” in dogs than of a sense of “I-ness”2). At a minimum, though, the yellow snow test stands as a useful warning that we humans need to be careful not to make quick judgments about animal intelligence or cognitive capacity (or lack thereof) based on tests that are well-suited to humans, but that fail to match the skills and abilities of the particular animal. 1Bekoff, M. (2001). Observations of scent-marking and discriminating self from others by a domestic dog (Canis familiaris): tales of displaced yellow snow Behavioural Processes, 55 (2), 75-79 DOI: 10.1016/S0376-6357(01)00142-5. 2Bekoff, M. Considering Animals—Not “Higher” Primates. Zygon 38, 229-245 (2003). Very interesting! I have observed a variation of this phenomenon in my dog when he is ill–he attempts to poop in the same spot until his gastrointestinal system is back in order. I assumed this was rooted in primal behavior (isolating himself from other dogs until he feels well again). would not the time lapsed pee sniff of a dog own, along with a reapplication, be due to a dog’s recognition of itself and a reaffirmation of being/peeing there to remind the other dogs? my own two mutts tend to mark the same areas every night, plusany other new sites that strike their fancy…although i’ve never timed them. does seem like another ‘duh’ moment that smart science needed to show us. Animals including us are intelligent in our own way. Do Dogs Really See Themselves In The Mirror?